In this review of the Crypto Revolution System we explain why you should not buy this program. 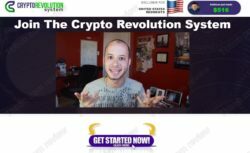 The Crypto Revolution System is supposed to teach you how to trade cryptocurrencies to make big profits, like people who invested in Bitcoin in the early days. This program costs $9.95, but in our opinion it is not worth even a single dollar. 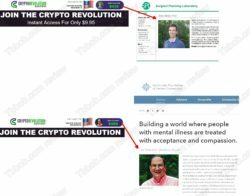 We are not afraid to label the Crypto Revolution System as scam, because it uses fake testimonials. When you sign up for the system, you will be shown alleged profits made by users of the system. But they are fake. Check our picture to see that these people are not real users of the system, these photos belong to people who have no idea that their pictures were stolen and abused for fake reviews. Any program that uses fake testimonials is a scam. Period. Another problem with the Crypto Revolution System is that it is designed for US residents, but it cannot legally be. This system will tell you “what to trade, how to trade and when to trade”, which is the definition of investment advice. And investment advice is a regulated activity in the US, which requires a special licence. But we see no information about any licence of the Crypto Revolution System, so we must assume that it is an illegal service. 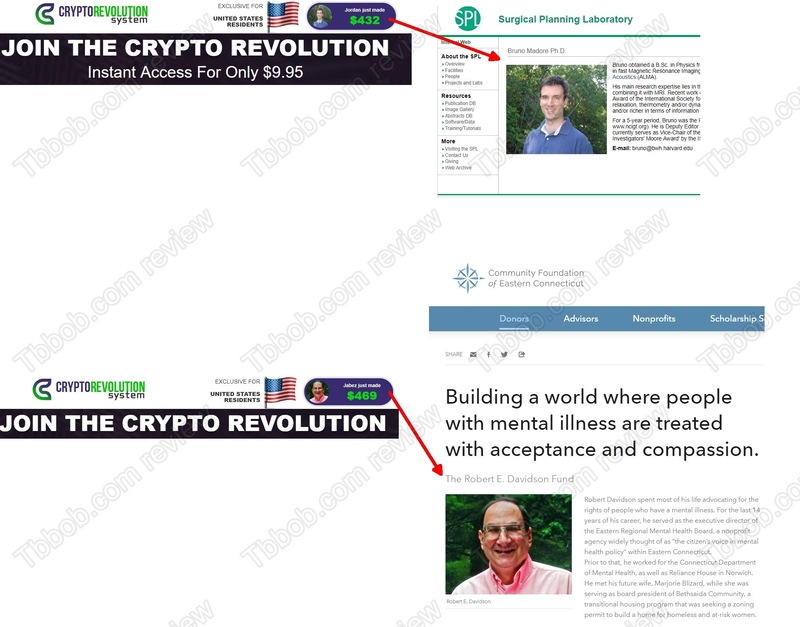 The Crypto Revolution System shows fake testimonials, therefore it is a scam. Stay away from it! If you want to make money with cryptocurrencies, the best way is to learn and build your own strategy. You can try and do that on a free demo account with a regulated broker. Be sure to understand all the risk before you eventually start trading with real money.